This conference assessed the effectiveness of EU rule of law assistance to the region; how to implement change on the ground; and building institutions to strengthen transparency and accountability of government. The EU has placed rule of law at the forefront of its enlargement strategy, ‘front loading’ the key rule of law chapters in the accession process with the establishment of early benchmarking in order to monitor progress. 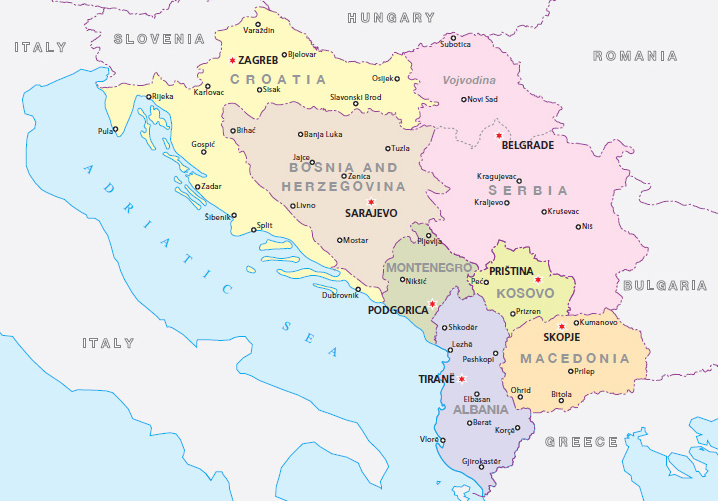 Enlargement countries in the Western Balkans face major challenges in this area, with corruption and organised crime rife throughout the region. Lack of transparency in public administration practice has contributed to clientelist networks that inhibit growth and aid criminality. The absence of a strong civil society and a largely politicised media means that broader pressures in support of governmental transparency and accountability are very weak. With the new EU 2014-20 financial perspective on the horizon, this conference will provide a very timely opportunity to bring together officials and experts from the EU and its member states with stakeholders from the region in order to examine how funding from Brussels under the Instrument for Pre-Accession Assistance (IPA) as well as other programmes can most effectively support rule of law reforms. Participation from the Western Balkans will focus above all on next generation leaders with the goal of strengthening networks of reformers from across the region. Conference on What future for Bosnia and Herzegovina in Europe and the Euro-Atlantic community?